With nearly 25 years of experience as a wilderness guide/instructor/facilitator, Michael knew at an early age he was destined to live, work, witness and play in the outdoors. With the exception of a 5 year stint as a dog mushing guide in Northern Canada, Michael has rarely been without a paddle in hand. He spent a number of years with Outward Bound as an instructor, facilitator and guide leading sea kayak and white water canoe trips throughout Canada before landing in Belize, Central America. It was in Belize that Michael was exposed to the diverse ecosystems of the tropics and he remained there seasonally for 9 years leading sea kayak and river running expeditions. Having found excitement in these varied and rich environments, Michael sought a location in Central America to pursue his own dream. Panama proved to be a place of magic, a lost world that combines the things he enjoys in life: the natural jungle and sea wonders, great people, a beautiful area to explore by kayak, fresh vital foods and awesome surf. Fluid Adventures Panama is Michael’s vision and he is thrilled to see his dream come to fruition here in Santa Catalina, Panama. Michael graduated from the University of British Columbia with a B.Sc. in Kinesiology and Sport Business Admin. He is also a nature photographer, surfer, and an environmentalist who tries to live life mindfully and conscientiously. He is more interested in “presence” than “presents”, is drawn to sustainable living and community. His curiosity for nature, big and small, is infectious. Michael is a fully certified guide who takes group safety, sound judgment and risk management seriously while addressing individual needs while creating fun enriching experiences. If you’re lucky enough to get him cooking on an expedition you know you’re in a good place..though, you may find him surfing. Native to Southern California, Javier has been a resident of Panama for more than 10 years now. He arrived in 1993 as a Peace Corps volunteer after graduating from UCSB with a BA in Spanish Literature and Philosophy. From 1993-95 he worked to introduce sustainable agriculture techniques in Chagres National Park. Javier settled in Santa Catalina Beach because of its natural beauty. He has been at the forefront of surf exploration in the area since his arrival, and brings 20 years of surfing experience to the table. He also enjoys birding, free diving, homesteading, fatherhood, sailing, and exploring the many wonders Coiba Island has to offer. Adam has been guiding sea kayaking tours for the past five years. He is the Operations Manager & Lead Guide for East Coast Outfitters in Nova Scotia, Canada. Guiding in Panama is as much an adventure for Adam as it is for the people on his tour. Allowing people the opportunity to find fun, peace & adventure all in one trip is his motivation when guiding with FAP. 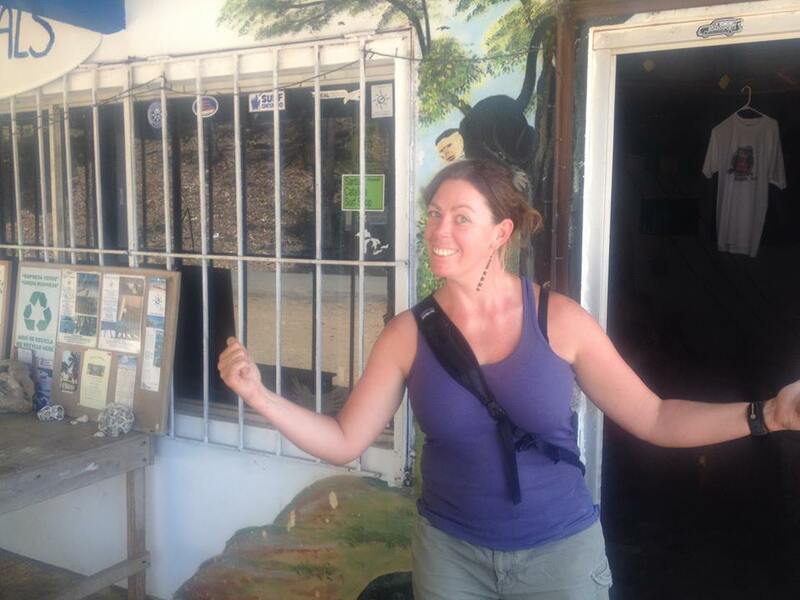 The people of Santa Catalina are vibrant and exciting and Adam loves sharing his new found knowledge of Panamanian culture, adventures and wildlife with people on his tours. Adam has 15 years of outdoor education experience in Canada working with people of all ages in a variety of outdoor setting. He has been a Canoe instructor leading multi-day trip into the Canadian wilderness, a rafting guide on the Ottawa river and a downhill ski instructor. He holds Wilderness Remote first aid and Level 2 sea kayak certifications. Kirri and his father, Florencia (Chino) Camarena have been an integral part of the Fluid team for 5 years. This awesome duo are as handy with an engine as they are with local fishing knowledge, secret spots to witness wildlife and in sharing local knowledge and helping any way they can. So much of our success is due to the efforts of this family. We are fortunate to have Zack as part of the Fluid team. He honours us with his presence every so often. Zack has more stories than an old Reader's Digest subscription. 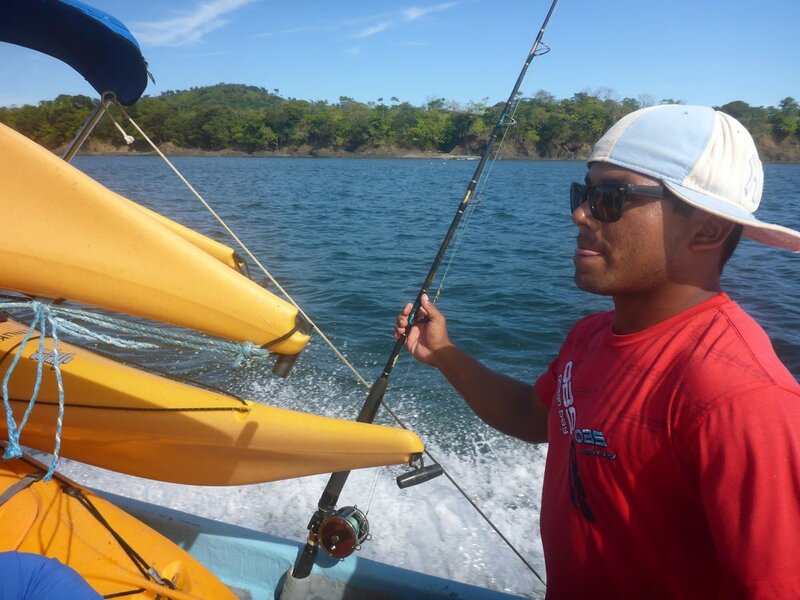 His love and excitement for all activities in the outdoors is infectious and his appreciation for the Coiba environment keeps him coming back to guide with us. Creating his new business in Canada, It's Such A Nice Day (link), traveling, working with youth and couch surfing keep Zack a content and busy individual pursuing outdoor endeavors. Jessica combines her passion for yoga with her love of the outdoors to bring a different experience. She is the creator of SupYogaPanama, a SUP Yoga Brand which specializes in yoga workshops on Stand up paddle boards around Panama. Jessica fell in love with SUP Yoga in 2014 when she discovered the joy of practicing on the water surrounded by nature. Manifesting a mindful, present experience, surrounded by the majestic healing environs of Santa Catalina and Coiba, she encourages her students to have fun, connect within, drop fear and get free in every one of her classes.